In booking with Cruise Guru, you agree to the following terms and conditions specific to your chosen cruise line. These terms and conditions apply to your use of the internet sites www.CruiseGuru.com.au and www.qantas.com/cruises. By using these Sites you agree to be bound by these terms and conditions. “Content” of this Site includes things that you may see, read, hear, download or access on or via the Site (including but not limited to messages, files, data, software, images, photographs, illustrations, text and other materials). “Principal” means a service provider who provides travel services offered through this site and on whose behalf we act as booking agent. “Site” means the internet site www.CruiseGuru.com.au or www.qantas.com/cruises and any sub-domains, including but not limited to bookings.CruiseGuru.com.au. 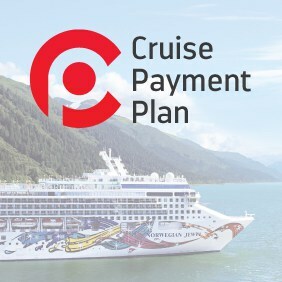 “Cruise Guru“, “we” or “us” means Travel the World Pty Ltd trading as Cruise Guru. 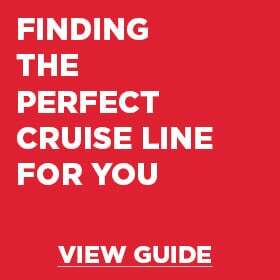 Cruise Guru holds Travel Agents Licence 2TA 003774 and is a member of the Australian Federation of Travel Agents. (b) prevail over these terms and conditions to the extent of any inconsistency. (b) otherwise infringe the intellectual property rights of any person in using the Site or any Content. Nothing you do on or in relation to the Site will transfer any intellectual property rights in the Content to you or licence you to exercise any intellectual property rights in the Content. 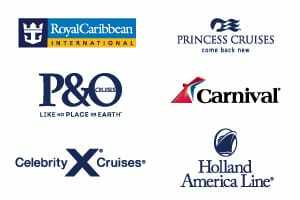 Our corporate logo “Cruise Guru” is our trademark. All rights are reserved by us. All trademarks (whether registered or unregistered) and logos appearing on our Site must not be used without obtaining the prior written consent of their owner. We attempt to keep the Content of the Site up to date. However, most of the Content is supplied to us by third party providers. Although we take reasonable steps to confirm its accuracy and currency, we do not warrant the accuracy or currency of the Content. The Content on the Site is liable to change at any time without notice. Prices quoted on the Site are in various currencies depending on the Principal. Please ensure that you confirm the price and the relevant currency before making your booking. Prices quoted on the Site should be used as a guide only and are not guaranteed, as they may change from time to time according to each respective Principal. 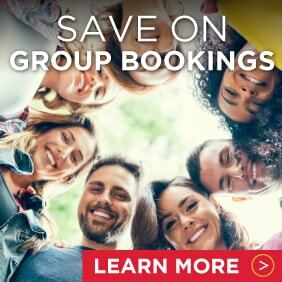 Any travel services advertised on this Site including prices are subject to availability. (h) knowingly transmit any virus or other disabling feature to the Site. We have not reviewed all of the sites, downloads, plug-ins, features or advertisements linked to this Site and are not responsible for the content or accuracy of any off-site pages or any other sites linked to this Site (including without limitation sites linked through advertisements or through any search engines). The inclusion of any link does not imply that we endorse the linked site, and you use the links at your own risk. We do not accept any responsibility or liability for any claims arising out of your use of these links or of the descriptions or information supplied to us by third parties for inclusion on this Site. This Site may store cookies on your web browser in order to improve service for you on subsequent visits to the Site. By using cookies, web sites can track information about a visitor’s use of the Site and provide customised content. Most web browsers can be configured to notify the user when a cookie is received, allowing you to either accept or reject it. You may also inspect the cookies stored by your web browser and remove any that you do not want. You use the Site at your own risk and everything on the Site is provided to you “as is” and “as available” without warranty or condition of any kind, either expressed or implied, including, but not limited to, any implied warranties of merchantability, fitness for a particular purpose, or non-infringement. If a jurisdiction does not allow the exclusion of implied warranties but allows limitations of a certain maximum extent then we limit our warranties to that extent. (i) the supply of the services again; or (ii) the payment of the cost of having the services supplied again. If a jurisdiction does not allow the exclusion or limitation of liability in accordance with this clause but allows a limitation of a certain maximum extent then our liability is limited to that extent. If any part of these terms and conditions is held to be unenforceable, the unenforceable part must be given effect to the greatest extent possible and the remainder will remain in full force and effect. This Site and your use of this Site are governed by the laws of New South Wales, Australia. By using this Site, you irrevocably submit to the exclusive jurisdiction of the courts of New South Wales, Australia.